A step-by-step guide to each stage of renting a property. All of our properties are listed comprehensively on all of the major property portals as well as our own website. All listings have professional colour pictures of the property and a detailed property description. However nothing compares to viewing the property in person. Renting a managed property has the benefit of a having a dedicated property management team to handle day-to-day issues; removing the emotion of dealing directly with the landlord. The support of an online fault reporting portal, available in over 40 languages, with the backup of a 24-hour helpline should a problem arise. We can arrange viewings at times to suit you, including after work and at weekends. 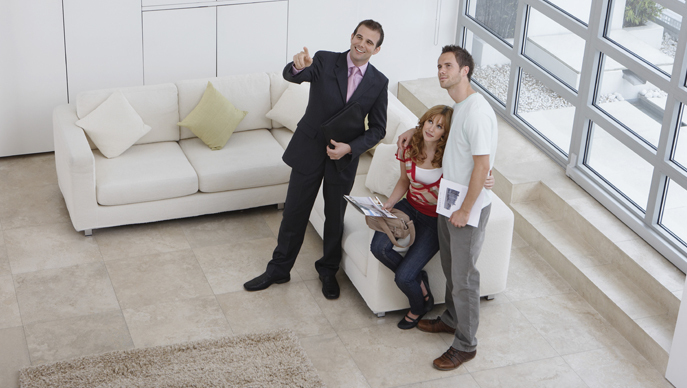 In order to secure a property we recommend viewing quickly! On the day of the viewing we will call you to confirm your attendance. We will then meet you at the property and accompany you throughout, so that we are on hand to answer any questions you may have. In order that our landlord can consider your application for tenancy we will need to know details of your circumstances and will email a list of questions that we require answered. We will then communicate this offer to the landlord. If your offer is accepted payment of a holding deposit of £125 will be required and we will then email you a link to our online referencing application process; which will also include a credit check on each applicant. Once each party has completed our online application in full we will cease viewings at the property and it will be marked as references being taken. To support your application, proof of address and either your passport, national ID card or UK driving licence will need to be brought to our office for verification. We will also organise for the completion of an Inventory and Schedule of Property Condition for the property. Once references are received we will invite you to sign the tenancy agreement, even if your tenancy does not commence for a few weeks. If your move in date is more than a week in advance we will require that the balance of the deposit is paid and that all parties to the tenancy call at our office to sign the tenancy agreement. The rent is payable on the date that the tenancy commences. We will inform you in advance of the balance due prior to the signing of all paperwork. Draft copies of the tenancy agreement and AT5 Notice will also be forwarded to you in advance of signing. Please take the time to read them as they are important legal documents. Upon commencement of the tenancy we will provide you with a Tenant Information Pack. We will also provide you details on how to report maintenance, should it be required at your property, and also details of our regular property inspections. If you are collecting your keys on the date that your tenancy commences copies of all of your paperwork as well as the keys will be issued on this date.